Product #6074 | SKU Z-ZLM | 0.0 (no ratings yet) Thanks for your rating! 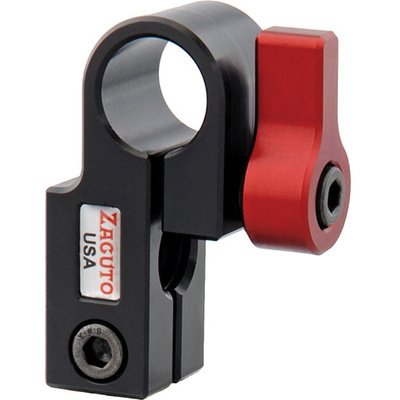 The Zacuto Z-ZLM Zrod Lock Mount is a 15mm right angle rod adaptor that holds up to two 15mm male/ female rods. Equipped with a tightening red lever and an Allen key, the mount offers a secure right angle connection between the rods. You can adjust the position of the mount and ensure easy accessory placement. It is compatible with an EVF Tri Mount Kit and the Zacuto Universal Baseplate.